Is NATO Obsolete? Does it Destabilize? 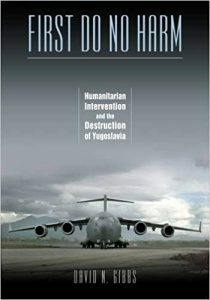 Gibbs is professor of history at the University of Arizona, and author of the 2009 book First Do No Harm: Humanitarian Intervention and the Destruction of Yugoslavia, published by Vanderbilt University Press.